This commentary views the book of Genesis as a sacred text that, in conjunction with other biblical books, enabled the people of Judah/Israel to begin anew after the nation’s destruction by the Babylonian Empire. In Genesis, the Creator God brings forth life by the Word alone. Stories of disaster and destruction, often a crux of interpretation, find new resonance when set against the backdrop of a nation scattered and in disarray, for they reflect the suffering and theological dilemmas of invasion and warfare. 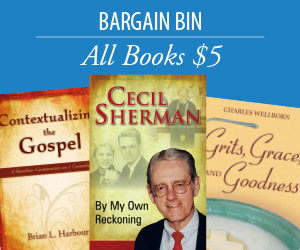 The promises of God to Abraham form the heart of the book and offer more than mere survival; they promise abundant life, children beyond counting, overflowing blessings, and life begun again in the land. Genesis is a profound resource of faith for all communities and individuals who have known loss and seek new life. Kathleen M. O’Connor is William Marcellus McPheeters Professor of Old Testament, Emerita, at Columbia Theological Seminary in Decatur, Georgia. She holds a PhD from Princeton Theological Seminary, an MA from Providence College, and a BA from the College of New Rochelle. She has taught frequently in local churches and community groups and given courses in Central America, Thailand, Japan, and Ireland. The Henry Luce III Fellowship (2004–2005) provided her time to write Jeremiah: Pain and Promise, where she draws from trauma studies to show how the prophetic book addresses profound suffering. Another of her books, Lamentations and the Tears of the World, received first prize in Scripture from the Catholic Press Association in 2003. A former president of the Catholic Biblical Association of America, she has also been active in the Society of Biblical Literature. Columbia Theological Seminary inaugurated the Kathleen O’Connor Lectures in her honor in February 2015. By any measure Kathleen O’Connor is among the best readers of text of her generation. She brings to her interpretive work a lively imagination, a playful sense of the dramatic, a keen awareness of the urgent crises of the day, and grounding in deep faith. She brings, moreover, two particular gifts to the commentary that serve in compelling ways to redefine the work and capacity of a commentary. First, she is steeped in “trauma study” and so sees how texts are responses to disaster. Second, she offers an artistic sensibility about language so that in her hands the text continues to be generative. This is a most welcome commentary that summons the reader to rich and probing interpretation that effectively finesses the gap between ancient and contemporary. It is a work of art. A beautifully written commentary that captures the literary and theological essence of the book of Genesis. O’Connor skillfully demonstrates how Genesis responded to a people’s trauma by reframing the traditions of their ancestors as stories of survival. She reveals how, through the aid of their Creator God, the people could cope with the disaster they faced and move beyond it to a new life. 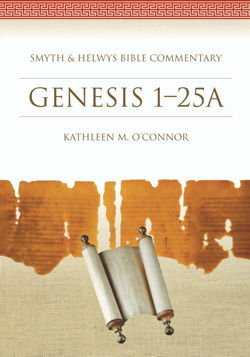 Finally, an altogether fresh reading of Genesis which will delight seasoned interpreters and beginning students. Informed by disaster and survival studies, Kathleen O’Connor’s work brings breathtaking clarity and theological insight to the biblical text and its afterlife. Kathleen O’Connor possesses the enviable combination of rigorous exegetical precision and innovative engaging interpretation. She reminds those who look to Genesis for history that that collection of stories actually “intervenes in history,” offering a theological view of beginnings to those who fear that they might be facing the end. She employs features of the present to encourage insight into the histor- ical and cultural context of the biblical past, and she weaves artistic expressions of values and sentiments to throw light on universal concerns. Her sensitivity to ecological, gender, and multicultural matters will speak to a broad readership. And all of this is accom- plished in a reader-friendly compositional style. This book is a gem! Elegantly written and thoroughly engaging, Professor O’Connor’s Genesis commentary is treasure of insights whose breadth is unmatched by any other commentary available. Moreover, her particular focus on trauma and restoration offers a groundbreaking perspective on Genesis. As the book of Genesis addresses the deep issues of life within its ancient context, so Dr. O’Connor finds remarkable relevance in Genesis for the pressing issues of today. Beautifully written and filled with exegetical and hermeneutical insights, O’Connor’s commentary is ideal for classroom use, Bible study, and sermon preparation. The rich sidebar essays explore interpretive cruxes and provoke new conversations. By framing the final form of Genesis as a response to the trauma of national defeat and exile, O’Connor sheds new light on the power of the book to address loss and provide hope.